Do you want a larger heart and a cure for the dangers of consumerism? Try being more generous to the poor. 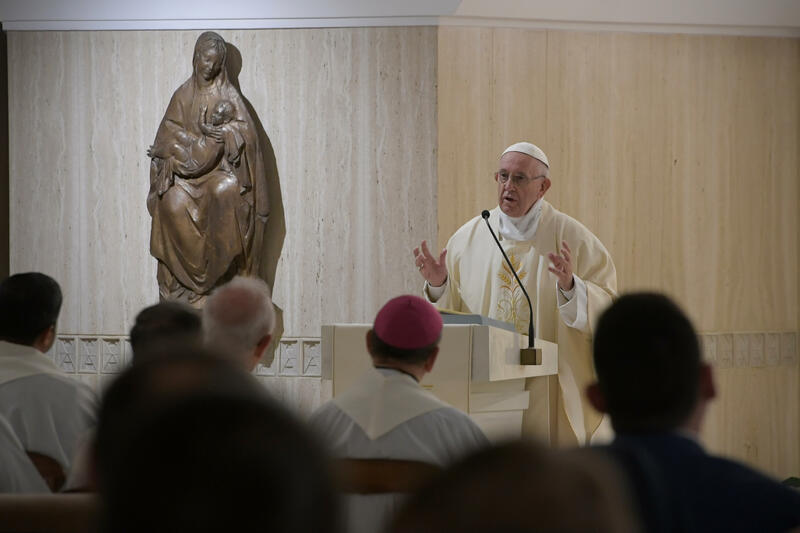 That was the advice of Pope Francis during his November 26, 2018, homily at Mass in Casa Santa Marta in the Vatican. The homily was reported by Vatican News. The Pope pointed out that in the gospel, Jesus often contrasts the rich and the poor. For example, in his comments to the rich young man in the 19 chapter of Matthew, he says is hard for one who is rich to enter heaven. Pope Francis gave the example of a woman he met. When she went grocery shopping, she spent 10 percent of what she bought on food for the poor. He said she gave her “tithe” to the poor. “We can do miracles through generosity,” Francis said. “Generosity in little things. Maybe we don’t do it because we just don’t think about it.